St. Johns River Water Management District lands are natural, wild and scenic places. 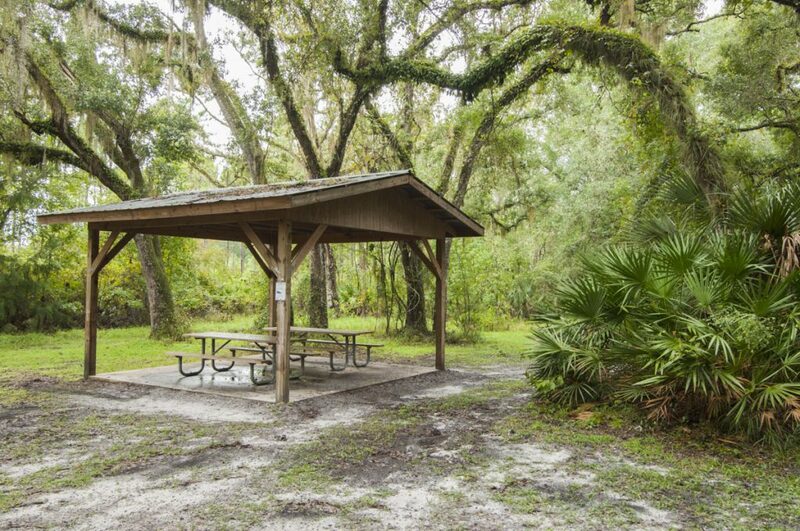 While camping on district lands, you may have an opportunity to see various wildlife, sit under the stars, listen to a soft evening breeze rustling tree leaves and experience Florida much as some of the earliest settlers did. However, be prepared to rough it. Only primitive tent camping is allowed on district lands and only at designated locations. No travel trailers, campers or RVs are allowed. Most properties offer no amenities such as rentals, restrooms, potable water or shelters. Many of the campsites are in remote areas and can be reached only by hiking, bicycling, boating or horseback riding. Campers should use the designated campfire rings for fires and should carry out all garbage with them when they leave. Check the notices section of this website for updates on any current burn bans. First come/first serve and reservable camping sites are available at most district properties. Reservable campsites require a reservation and permit from the district. Campers must make a reservation at least 24 hours in advance. All camping is limited to a maximum of seven days per visit and you may camp no more than 30 days on a property per year. To review reservable camping sites and to make a reservation, visit our camping reservation system. The district co-manages several public lands with local governments or other agencies. The following properties and the camping reservations for these properties are managed by the agencies listed below.